On 04/03/2015 at about 12:24 PM, the Sheriff’s Office received a welfare check request for 50 year-old Deborah Roth. Deborah reportedly lived with her husband, 51 year-old Roy Roth in a trailer on a large piece of property off South Shingle Road in Latrobe. The caller said Deborah had been missing for several days. The caller said Roy was at their house in Placerville and they would meet the deputies there. Deputies responded to the Placerville address to talk with Roy Roth and the reporting parties. The caller told the deputies about series of events that occurred over the last couple of days that caused them concern. Normally, the caller talked to Deborah almost every day. It was also unusual for Deborah to miss prearranged meetings and not return telephone calls. Deputies were told the South Shingle Road property had been checked with no sign of Deborah. Friends and family had also contacted but no one had seen or heard from her. The deputies also talked with Roy Roth. Roy told the deputies what had happened over the last several days to include they had argued and that she had left. Detectives were called in to assist. Detectives drove to the property in the 8000 block of South Shingle Road to check trailer and property. On the property the body of a deceased adult female was located, presumably the remains of Deborah Roth. The Sheriff’s Office Crime Scene Investigative (CSI) unit and additional investigators were called in to process the scene. The case is still under investigation. 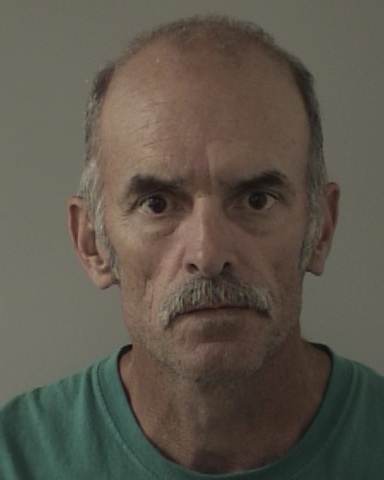 Roy Roth was later booked into the El Dorado County Jail on 04/04/2015 at 3:30 AM for murder, an unrelated outstanding warrant for his arrest, and an enhancement for having a prior felony conviction. He is being held without bail. Above: Roy Roth’s booking photo.